Grief & Loss | CHRYSALIS HOUSE, INC.
As you likely know, Pinterest is a social bookmarking website for saving, organizing and sharing things. Many, many people have already recognized its benefits for design, fashion, beauty, cooking and other lifestyle topics. But, it can have some wonderful benefits for couples and singles who are hoping to adopt ~ or in the middle of that process, too. We have been building our agency Pinterest page for a long while now. And, we’ve proudly amassed a wealth of resources. In fact, our Pinterest boards have made it hard to keep this “blog” alive — We’ve come to notice that so much important content has already been written and it’s written so well, that, well… why would CHI write it again? Please accept our invitation visit and “follow” our Pinterest page: Chrysalis House. You will then have access to a resource that we have designed to support any and every family, including those who are -or- aren’t clients of our adoption agency. We have reviewed a wide collection of topics and amassed over 800 pins all nicely divided into boards on adoption and issue specific topics such as: anger management, special needs, chores, developmental milestones, safety strategies, foster/domestic/inter-country adoption, bonding and attachment, nutrition, discipline, transracial adoption and …probably just about everything in between, too. We’ve created boards on: what to do while you are waiting (prospective adoptive parents), how to coach adoptive relatives, how to apply for adoption grants and even how to get ready for back-to-school. But, there’s another reason why we bring up Pinterest… This social platform can be part of any waiting parent’s adoption networking strategy. It’s popular and has many millions of visitors ~ which is a fantastic audience. 68 percent of Pinterest visitors are women and 70.9% are between the ages of 17 to 44– which includes the demographic you want to reach and connect with, when you are prospective adoptive parents seeking a domestic adoption. According to a report, Pinterest drives more referral traffic than Google+, LinkedIn and YouTube combined and is now one of the top 10 social networking websites. It’s easy to use and once you’ve joined, sharing, following and “liking” others couldn’t be easier. Just create a board and start pinning. Conveying “who” you are with words can be a challenge. Pinterest helps you show the “real” you when it comes to telling an authentic story. Because Pinterest reveals “who” you are through photos and images that you personally identify with, it gives you the chance to connect with prospective birth parents on a visceral level. For waiting parents, beyond research on “what you can expect while you’re expecting” –you can also use Pinterest to showcase your personality and share many bits and pieces of your life that didn’t make it into your profile. Your Pinterest page can show additional facets to your family like: hobbies, traveling plans, your love for the garden, recipes you’d like to try, charities you support, and can ultimately reflect …how you hope to parent that child that you hope to adopt. Consider loading your families Adoptive Profile to your Pinterest page and consider Pinterest to be another resource for connection(s). Finally, for anyone who is going through the sometimes arduous (but eventually rewarding) process that is adoption, Pinterest’s beauty, messages of hope, and celebration of the everyday can be a daily pick-me-up. 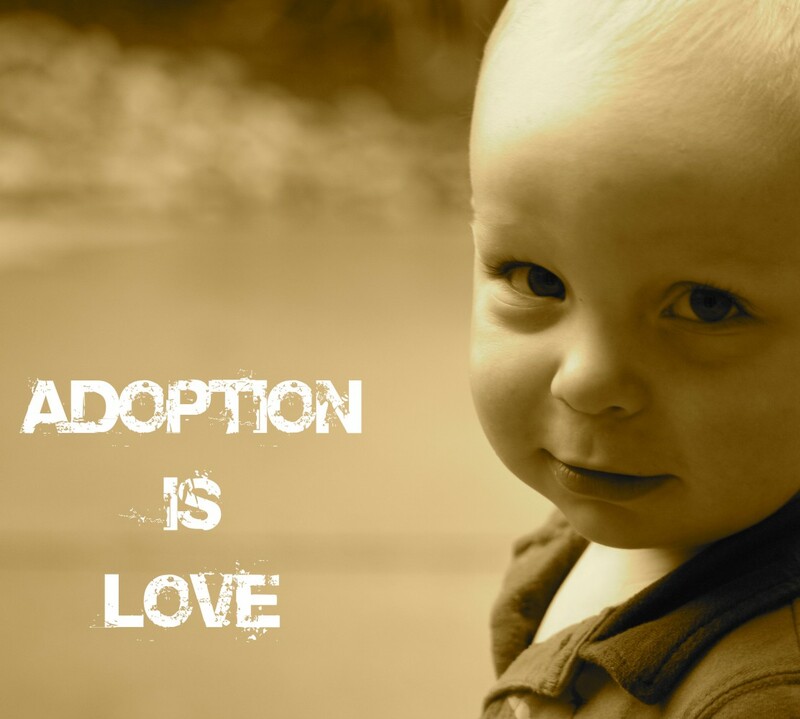 Adoption affects adopted persons and families in many different ways over the course of their lifetime. As result many adoptive families need information and support to manage challenges as they arise. Challenges may appear and reappear at different stages of life, even when their adoption is a positive experience. We encourage families to seek assistance proactively when the first concern or questions arise. Please note: there is no need for a family to feel ashamed or hesitant to request help… Just give yourself permission to learn & expand your skills! A parent struggling with how to explain adoption to a preschooler..or any aged child. A teenager struggling with their teenage identity, especially as it pertains to being an adopted child. Identity development can be more complex for adopted children and teenagers. Identity development can be complicated if the child’s race or birth culture differs from that of the adoptive family. Given the importance of maintaining a child’s birth heritage, parents may seek resources on this topic. Families of children who have experienced trauma, neglect, abuse, out-of-home care, or institutionalization may require more intensive services. All adopted children and youth, (even those adopted as infants) experience some level of grief and loss. They may grieve as they come to understand their history and they may also struggle with feelings of abandonment. Any child or youth separated from birth parents has experienced a break in attachment, and may not have known consistent love and affection. As result, they may have difficulty trusting and attaching to their new family. These children may need help building healthy relationships. Open adoptions may lead to families and adopted children needing support in maintaining relationships with birth family members. Adoptive parents may experience grief and loss issues of their own, which may relate to infertility. Emotions can be intensified by the reality of their adoption, especially if it doesn’t match what they expected it to be. At some point, many adoptees want to access birth information and/or reconnect with birth families. While technology can accelerate a birth relative search, this faster pace can be emotionally overwhelming. They also may not know where to begin their search. Children who were exposed prenatally to drugs and alcohol may have ongoing emotional, developmental, physical or behavioral difficulties. These may vary from health issues, to developmental delays, to feeding, sleeping and attachment issues. Issues may arise at school requiring an Individualized Education Program (IEP) and a referral fro special services. Therapy/Counseling: Professional help for concerns is always available to address any post-adoption challenge. Proactive access can often prevent concerns from becoming serious problems. For more information, contact the CHI office for insight and a referral. Support Groups: Both Online and in-person groups are available. Both offer parents and adoptees valuable opportunities to interact and share with others who may have had relevant experiences. Parents can even start their own group as many post-adoption services were founded by concerned adoptive parents! Camps, picnics and other events: Retreats and camps are available for members of adoptive families to connect with others like themselves. Educational resources: Parents can access a workshop or conference, or an online resource to learn about the topics important to them, socialize with other families, and access adoption materials. (many will be listed below). Financial assistance: While most services are not free of charge, their may be assistance available for some adoptive families. Many children adopted from public agencies qualify for adoption subsidy which can be used to pay for these services as spelled out in the adoption assistance agreement. Medicaid is available to meet a child’s special health, mental or emotional needs. Your health insurance carrier may also offer benefits which can be used for post adoption services. Some employers may provide benefits which will reimburse adoption related service fees. Scholarships are often available to help with the cost of attending adoption conferences and seminars. Public adoption agencies (county or State offices) & many private adoption agencies may provide services which can benefit your family dynamic. In addition to the specific services listed above, we’ve compiled a lengthy list of online resources – which can be accessed at any time & are listed below. These may be especially helpful if your family is not living within this agency’s home state, which is California. The National Child Traumatic Stress Network was established to improve access to care, treatment, and services for traumatized children and adolescents exposed to traumatic events. The group offers a wealth of online trainings and informational links. Child Welfare Information Gateway promotes the well-being of families by connecting the public to information, resources and tools covering topics on child welfare, child abuse & neglect, adoption and more. Child Information Gateway provides access to information and resources to help protect and strengthen families. TCU Institute of Child Development Offers Trust Based Relationship Intervention (TBRI) DVD’s that families can order for themselves. Empowered to Connect offers a faith based version of TBRI. Families can go onto the website, click resources & then on the righthand side there are many topics they can click & see a short video or write up on the subject. Attachment Trauma Network promotes healing of traumatized children and their families through support, education and advocacy. CASE -Center for Adoption Support & Education C.A.S.E. is the national leader in adoption-competent support with foster and adopted children and adults, their families and the network of professionals who assist them. With more than 17 years of adoption expertise and an extensive range of services, C.A.S.E. is empowering families in the adoption and foster care community to grow together and overcome challenges. This is an excellent site that offers articles, trainings, and lots of resources for all members of an adoptive family. REACH – Tulare County and REACH- Kings County REACH, which stands for Resources, Education, Advocacy, Crisis Intervention and Hope was designed to support and enrich the lives of adopted children and families, as well as others who have been touched by adoption. REACH services are family-centered and recognize the core issues of adoption. Services are designed to support and preserve all family relationships and maximize the child’s potential and full integration into a family. REACH services are provided at multiple locations throughout California to help families effectively prepare for the experience of adoption and to ensure families receive support at all stages of adoptive parenting. There are REACH programs in the following counties: Contra Costa, San Benito, Solano, Kings, Mono, Madera, Mariposa, and Tulare. Dave Thomas Foundation Access the link for a guide to Strengthen your Forever Family: A step-by-Step guide to Post-Adoption. This free resource booklet includes information for parents about the types of resources available after adoptions have been finalized. Topics include how to select and locate providers, what to do if your community doesn’t have resources available, and recommendations of other national non-profits that can help. NACAC North American Council on Adoptable Children is an organization that offers numerous articles designed to help families who have adopted children with special needs. PACT, an Adoption Alliance, was begun by two adoptive parents in 1991. Pact has developed a range of services that can connect you to other families like your own. CWLA Child Welfare League of America is the oldest national organization serving vulnerable children, youth, and their families. CLWA provides trainings, consultations, and a variety of conferences including teleconferences found at the link. Adoption Learning Partners provides educational adoption resources for adopted individuals, parents, families, and professionals through web-based and interactive courses. Adoption Learning Partners offers courses for families parenting adopted children to learn how to sort through issues and learn new skills. Courses address topics like talking to your child about adoption, helping your child cope with feelings of grief and loss, and answering questions about your child’s heritage and background with sensitivity and respect. Evan B. Donaldson Institute is a non-profit organization that dedicates itself to adoption by improving the current policies and practices of adoption. Through a wealth of publications, the Institute seeks to end negative stereotypes and misinformation about adoption by providing an accurate picture of its rewards, as well as its challenges. Search by topic to locate resources you may need. Adoptive Families Magazine is an excellent magazine with well-written articles for all adoptive parents. What have we missed? Please add any resources you have found to be helpful to your family in the comments.